Thank you Giovanni for making our day in Naples so memorable and enjoyable. We appreciated your flexibility in planning our day. We felt like you were a good friend showing us around and your pride and love for your country was infectious. The vehicle was pristine and comfortable for the six of us. We'd love to go back and the first person we would call is you!! We highly recommend your tour company and people may contact us if they have questions. 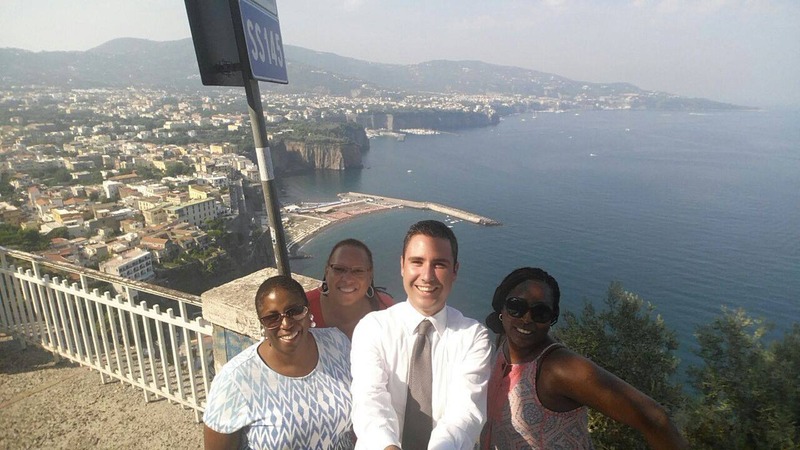 “An amazing Day in Pompeii, Sorrento and Positano! !” We were part of a group of 8 on a 7 night cruise, and this was probably my favorite port day! Giovanni was our driver and he helped make this day fun and memorable. He got us to Pompeii early so we beat the crowds and could really enjoy our visit. He is a highly skilled driver (not easy on the Amalfi coast Road) and took us to some beautiful lookout places for stunning views/photos of the Amalfi coast and Positano! He arranged a really nice lunch for us in Sorrento, recommended the perfect street for us to pick up last-minute gifts, and he made sure we were on time for the ship. I would definitely recommend Lovely Amalfi Coast Tours and Giovanni, and hope I get the chance to use this service again someday! In August 2013 we did Tour Pompeii, Positano and Sorrento with Lovely Amalfi coast tours. Our driver Giovanni was very nice and he suggested a wonderful restaurant outside Positano for us to have lunch and that was the best meal we had on our 2 week trip. We had several stops for photos and it was a wonderful day! Thanks Giovanni! 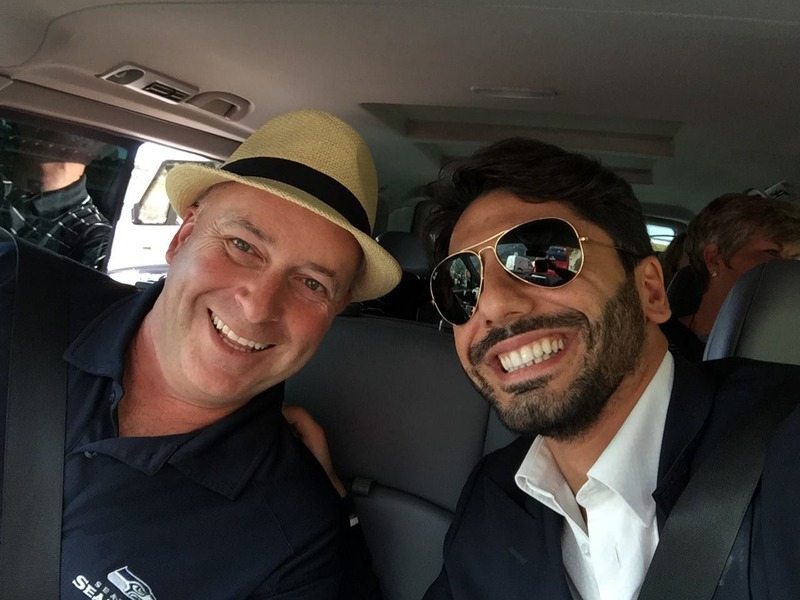 “Great trip with Giovanni” We had a great time in the Amalfi Coast thanks to our wonderful driver, Giovanni. Giovanni is unlike any stereotypical driver that one would encounter in most cities. He is young, fun, engaging university student who seems to know just about everyone in the Amalfi Coast! The entire private tour went very smoothly. We found Giovanni immediately upon arriving in the Sorrento port as he was waiting for us (along with other drivers). Despite that there were only two of us, we got a large van, which is better for sightseeing because you get to sit higher up and consequently have a better view of the coast. We were able to see all the towns and did not feel rushed at all. 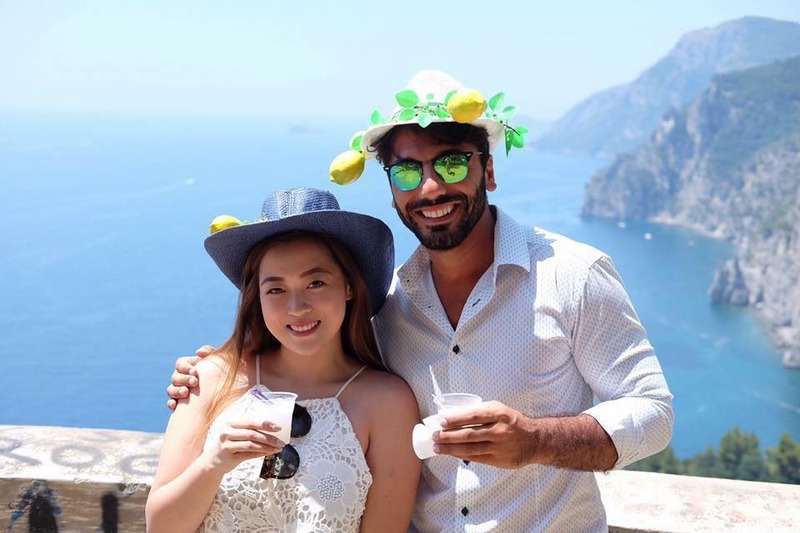 Another great thing about traveling with Lovely Amalfi Tours is that the prices are significantly more reasonable than its competitors, with no compromise in the quality of service. I hope it continues to stay that way! But most importantly, Giovanni made us feel like he was a friend showing us around his hometown. And of course, this is always the best way to explore a new place. Pompeii and Herculaneum Private Tour This was our first time doing an independent outside of our cruise line. What a BLAST! Eight of us went off to Pompeii and Herculaneum with Giovanni (our driver).8 hour tour. This was the highlight of our 19 day Western Mediterranean Cruise. ( Age group) in our 60's. We like ruins and history and the private guide gave us a great descriptive picture of how life was like at the time of Mt Vesuvius' eruption. We all agreed that we enjoyed Herculaneum more because it was more emotional and intimate. We all immediately hit it off with Giovanni, and had lots of laughs. We would highly recommend this company, guide and definitely the driver! We would not hesitate about using their services again. Thanks Giovanni for making our tour so memorable. The Crazy Canadians! We won't forget you. Simple Amazing...Bellissimo We just returned from our incredible trip in Italy and France. There were so many highlights to talk about but I wanted to say how incredibly pleased we were with Lovely Amalfi Coast Tours and most importantly with Giovanni, our driver. He has the most incredibly warm personality, speaks wonderful english (although I spoke italian with him) and has such in depth knowledge of the places we visited. He drove us to Pompeii first where we spent three hours, then off to Positano where he booked us in at a restaurant at the top of the cliff that had the most incredible view!! Our group spent a little too much time at the restaurant drinking wonderful wines and eating a most delicious meal, my favorite of the whole trip...once we were done we went to Beautiful Sorrento where we had a 90 minute opportunity to shop and eat gelato and simple do what we wanted. He was articulate and funny the entire time. His driving skills were amazing albeit we had a few moments going up the mountains where I didnt think we were going to make it (narrow winding roads) but he handeled them so well. We hope that if you use this company you may have the pleasure of having Giovanni as your driver/guide. It will be an incredible experience. I was on a shared tour by the way and met my fellow cruisers on Cruise Critic.com I recommend this site to get info on cruising and more importanly to meet others and share tours such as this one. We were 7 people and got along famously! Grazie Giovanni..ti auguro un bella vita!!! We arrived at the port of Salerno on Serenade of the Seas and was picked up by Giovanni. What an amazing tour guide! Very knowledgeable, friendly and polite throughout the entire tour. He stopped for photos and gave us enough time to spent in Positano and Sorrento and even recommended a good restaurant in Sorrento. From our booking via internet until our drop off at the port again was just so professional! Can recommend them 110%!! This was the best tour of our 12 day mediterranean cruise. Our driver was soooo knowledgable and got us to both Herculeum (better than Pompei) and Pompei before the crowds did. He then took us to this AMAZING lunch on Mt. Vesuvius (cantina) and we had the best authentic meal of the trip. We got to get a private winery tour and taste amazing wine. Next we hiked up Mt. Vesuvius... it was so much fun! I would recommend this to anyone my husband and I had a blast! 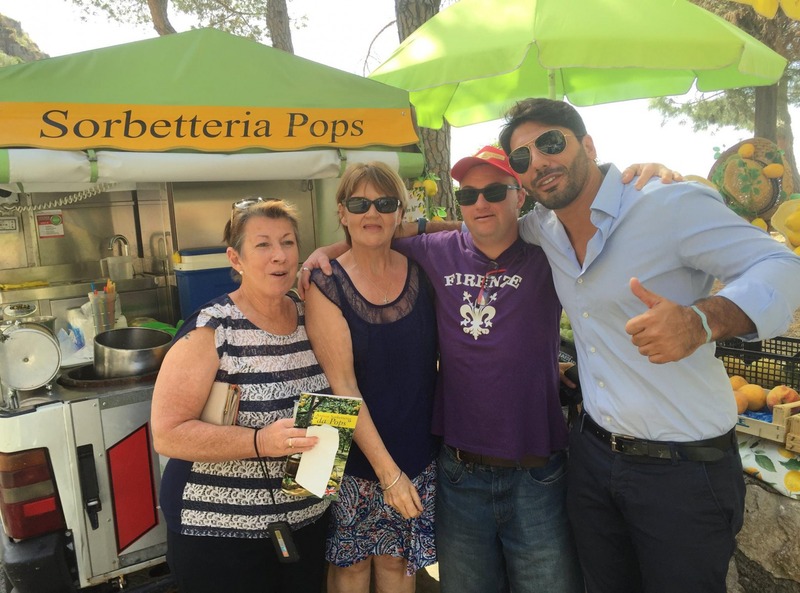 “A day with Lovely Amalfi Tours in Pompeii, Sorrento and Positano” On our Eastern Mediterranean cruise, we had a day in Naples and decided to take in part of the Amalfi Coast and see Pompeii again. With advice of the company and the skillful driving by Giovanni, we were able to do both and return to the ship on time, despite the traffic delays. Because of our smaller vehicle, we climbed to heights in Positano that buses couldn't reach and had our favourite lunch of the trip at Trattoria La Tagliata--magnificent views, delicious home-style Italian food and very friendly staff! We hired a guide to meet us in Pompeii (arranged by Lovely Amalfi Tours). Our excellent driver Giovanni was very considerate and friendly. We enjoyed our day with him in Naples area and would recommend the tour service to anyone. On our Eastern Mediterranean cruise, we had a day in Naples and decided to take in part of the Amalfi coast and see Pompeii again. With advices and the skillful driving by Giovanni, we were able to do both and return to the ship on time, despite the traffic delays. Because of our smaller vehicle, we climbed to heights in Positano that buses couldn't reach and had our favourite lunch of the trip at Trattoria La Tagliata--magnificent views, delicious home-style Italian food and very friendly staff! We hired a guide to meet us in Pompeii (arranged by Lovely Amalfi Coast Tours). Our excellent driver Giovanni was very considerate and friendly. We enjoyed our day with him in Naples area and would recommend the tour service to anyone..
We had a wonderful time on our tour of Pompeii and the Amalfi Coast with Lovely Amalfi Tours and our driver Giovanni. We were part of a group of 16 people - 8 each in two vans - organized by someone else on our cruise. Lovely Amalfi Tours arranged for a tour guide to take us through Pompeii at minimal cost since there were so many of us. It was excellent! We were the first group to arrive at Pompeii that morning, just as they were unlocking the gates, so had very few other tourists at the site with us. The drive of the coast was beautiful with lots of stops for pictures. They organized a group lunch for those that wanted it, but were flexible in allowing those that didn't to stay longer in Positano and grab their own lunch. I would certainly recommend this company and wouldn't hesitate to book with them in the future. 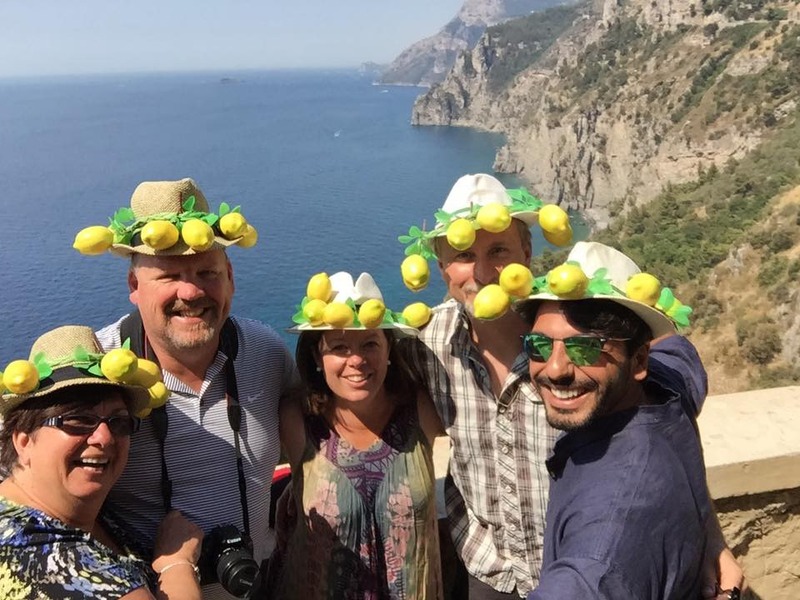 “Great trip with Giovanni” If you have a port stop in Naples, or are otherwise in the area and have a day to spend on the Amalfi Coast, book a Lovely Amalfi Tours day tour with Giovanni. You will not be disappointed! Six of us spent the day with Giovanni as our guide/driver, and thanks to his knowledge, his passion, his careful planning, his expert driving, his responsiveness to our wishes and, above all, his wonderful good humor, we had a great day visiting Ravello, Amalfi, Positano and Sorrento. We also stopped at several points along the way for photos, which were, without a doubt, the most beautiful photos from our entire Mediterranean cruise. Thank you, Giovanni, for an outstanding day!